Just 22 KM away from Vyttila, located in Peppathy near Chinmaya international bus stop. The proposed house plots bring a peaceful life amidst the blessings of nature. Here, the enchanting views of lush green surroundings install calmness in mind, and the west wind that carries fresh cool air is an energizing presence. For more details call Manoj Mahadevan on 9349766580 or visit www.homeatkerala.com. 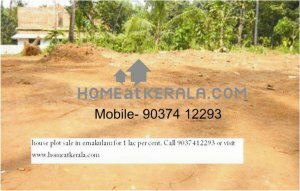 House plot in Ernakulum, 3 cent house plot for sale in Cochin, 5 cent plot for sale in Cochin, low cost house plot for sale in Cochin, land for sale in Ernakulum, land for sale in Kochi. House plot in Cochin, small house plot sale in Cochin.